Weight: Twin Reverb II: 75 lbs. ; Twin Reverb II Top: 45 lbs. Where can I get 2 t630ma fuse holders for this amp,can anyone help me ? Hi guys can I connect the TWin reverb 2 to 1 single external C12n Jensen speaker (50 Watt 8 ohm)? 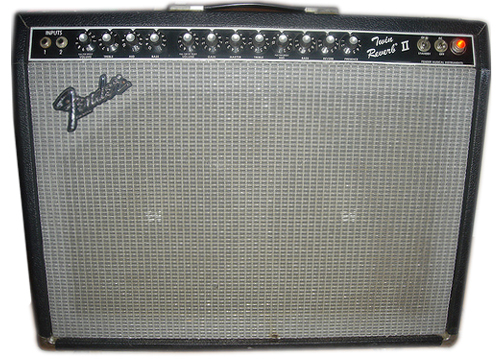 I was hoping to try the remove two power tubes and one speaker mod on the Fender Twin Reverb II like many have tried on the original Twin Reverb amp. Will this work on the Twin Reverb II? Is it safe for the amp? Was hoping for some feedback.